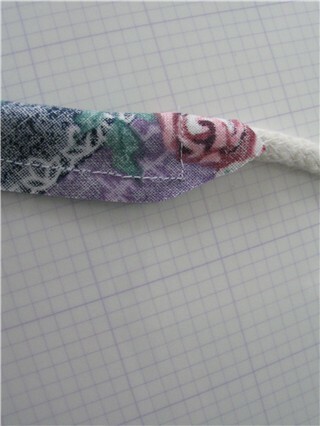 One bias strip about 2 inches wide, one piece of cording. 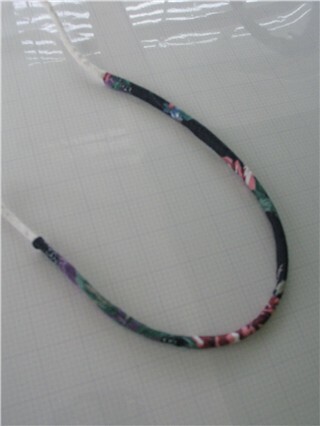 The cord is about twice as long as the bias strip. 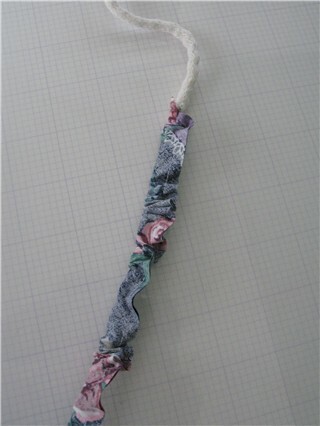 Wrap the bias strip around one end of the cord with the right sides together. 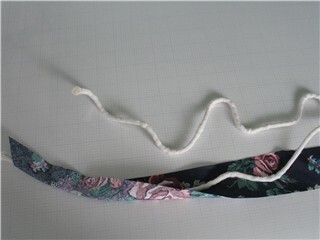 Sew across the end of the bias strip near the center of the cord and sew down the length of the bias strip. Don’t snug the needle tight against the cord. Leave about 1/4 inch space. Trim the seam allowance to about 1/4 inch. 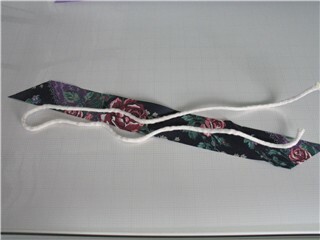 Push the bias strip toward the opposite end of the cord, turning the strip right side out. Viola, piping with no seam allowance! 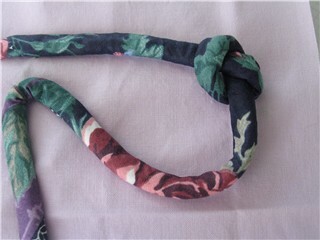 It can now be knotted, twisted, turned or laid straight and stitched in place. How cool is that? !